A Non-Surgical Nose Job is a great alternative for patients seeking to improve the shape of their nose without going under the knife. The cost of the procedure can vary from patient to patient. 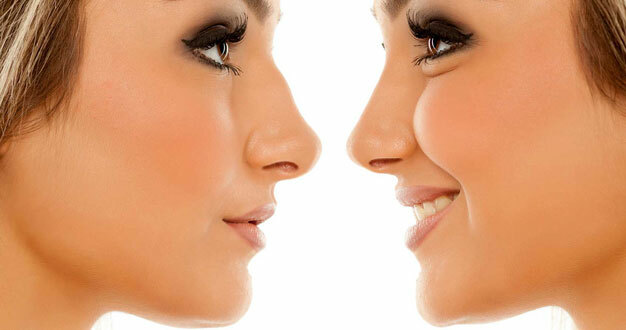 Generally, pricing can range anywhere from $1000 to $1500 for a non-surgical rhinoplasty. Pricing is often a reflection of the expertise of the practitioner performing the procedure. Plastic surgeons that specialize in facial anatomy can be more costly since they can perform a non-surgical nose job with expert care, achieving optimal results in 5-10 minutes, with little to no discomfort. The Dermal Filler chosen will also affect the cost of a Non-Surgical Nose Job. Juvederm and Teosyal, both offer a variety of Hyaluronic based Dermal Filler products. These dermal fillers are designed in adding volume, definition or smoothing contours. Since each patient’s needs and desired results are different; the Doctor will recommend the Dermal Filler that is best suited for the patient. An Injectable Nose Job is a temporary non-surgical alternative, so it should be noted that a touch up will be needed once your body metabolizes the dermal filler. Dermal Fillers can last anywhere from 9 months to 2 years. For more information on the benefits of a Non-Surgical Nose Job visit www.lastinglooks.ca/injectable-rhinoplasty-toronto, Visit Lasting Looks Clinic in Toronto or our website www.lastinglooks.ca today to book your non-surgical nose job today!